It seems like a straightforward domestic murder until a bloodstained sliver of X-ray is found clutched in the dead woman’s fist – and it quickly becomes clear that this case is anything but ordinary. Thorne discovers that the victim’s mother had herself been murdered fifteen years before by infamous serial-killer Raymond Garvey. The hunt to catch Garvey was one of the biggest in the history of the Met, and ended with seven women dead. When more bodies and more fragments of X-ray are discovered, Thorne has a macabre jigsaw to piece together until the horrifying picture finally emerges. A killer is targeting the children of Raymond Garvey’s victims. Download the first chapter of Bloodline. 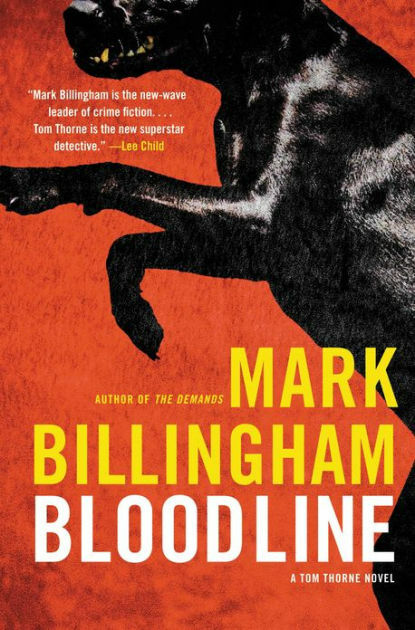 Read some reviews of Bloodline.